I couldn’t bend over without my legs going numb, and surgery is the word I heard from everyone when I told them my story…until a friend who worked at a chiropractic office suggested I see a chiropractor. I couldn’t believe it – after he adjusted my low back the problem was gone. Surprisingly, I didn’t devote myself to becoming a chiropractor right at that moment. Having a nurse and a physician’s assistant in the family I already knew the healthcare field is where I wanted to work. One day talking with my then future wife about possible healthcare professions, she suggested chiropractic. That’s when a bell went off and the lights came on and I remembered how impressed I was with my chiropractic experience. I was off to chiropractic school 3 months later. Dr. Yost started his pre-chiropractic education at Southwest Minnesota State University in Marshall, MN, where he played for their intercollegiate baseball team. There he received a bachelor’s degree in Biology. 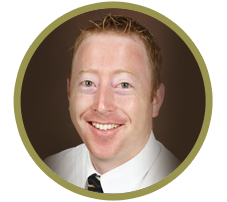 Dr. Yost graduated as the Valedictorian of his class in 2003 and opened his clinic in Shoreview in early 2004. We try to create an environment of care that leads to long-term health benefits by getting the patient involved in their care. “Everyone always has concerns when visiting a doctor for the first time, so we make it a point to explain everything in advance, answer questions, and attempt to over communicate. Patients appreciate that. Dr. Yost is married to Heather and has three children; all red heads, just like their dad. He lives in Shoreview and enjoys playing baseball, hiking, traveling, and spending time with his family. Thank you for visiting our site. I hope it can be a source of hope and healing. Give us a call or send us an email so we can help you take your first step toward better health.